Prime Minister of Ukraine Arseniy Yatsenyuk believes that the Verkhovna Rada will support the legislation on restructuring Ukraine's sovereign debt and raising social allowances. 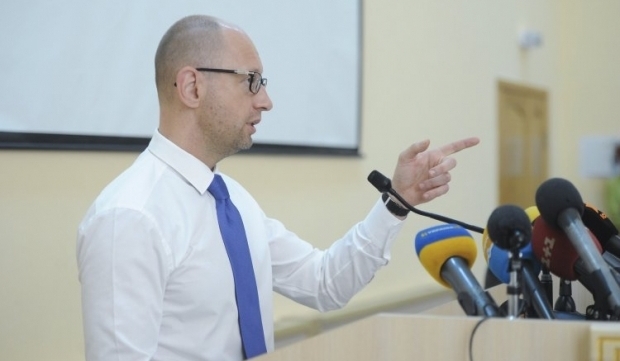 "I believe Ukrainian politicians will support both the restructuring and the raising of pensions and salaries," Yatsenyuk said during an investment conference in Kyiv on Saturday, September 12. As UNIAN reported earlier, on September 8 Ukraine’s Finance Minister Natalie Jaresko said that the Ukrainian government had reached an agreement with the creditors' committee on public debt restructuring, the terms of which have been included in a package of bills submitted to the Ukrainian parliament for approval. According to Jaresko, the Verkhovna Rada should adopt amendments to the Budget Code, which will cover issuance and servicing of derivatives, determine the priority of the restructured debt and debt not included in the debt restructuring transaction. In addition, the parliament should adopt changes to the law on securities and the stock market, as well as changes to the Tax Code, in which taxation of income with regard to government securities holders will be specified. The Government of Ukraine also submitted to parliament a draft law for increasing social standards for 12.5 million Ukrainian citizens. In particular, the minimum wage will amount to UAH 1,378 and the minimum pension will amount to UAH 1,074. The current minimum wage in Ukraine is UAH 1,218, according to the law on the state budget.